Do you have the desire to take care of people who are not feeling well? Do you have compassion and great bedside manner? Is it your dream to put that to work in a successful career path for you? If you said yes to each of these questions then perhaps you should consider pursuing your bachelor's degree and becoming a registered nurse. Keep in mind, the first requirement that you need to get out of the way is your high school diploma. You will not be able to enter a post-secondary college or university until you have successfully completed high school and have a copy of your transcript to attest to that. In addition, you may be required to submit a copy of your ACT scores, along with a few letters of recommendation that will vouch for your personal character as well as your academic ability. In order to ensure your successfulness in your bachelor's degree program you will want to be sure you have an ample high school background of science and math classes. Specifically, you should have a solid knowledge of algebra, chemistry, calculus, and biology. A registered nurse (commonly referred to as an RN) spends much of the work day taking medical care of patients within a doctor's office, a hospital, a school, or a health clinic. Sometimes, registered nurses become employed as a traveling nurse. In this capacity, nurses travel across the country working on a freelance basis at a variety of hospitals. The course work that is required by this degree will have you completing classroom instruction hours and clinical experience hours. A portion of the course work will be designed to teach you about how to dispense pharmaceuticals so that as a registered nurse, you will be prepared to work within a clinical setting. Within this program you will be expected to complete courses such as: anatomy and physiology, biology, health assessment, nursing leadership and management, and informatics. Keep in mind, you will receive some instruction in the classroom and then you will have the opportunity to apply what you have learned in a real world setting under a fair amount of supervision. Not only will you be able to practice what you have been learning, you will also have the chance to work with a variety of instruments and machines and ensure that you know how to use them properly. After obtaining your bachelor's degree in a medical field related to nursing, you will still need to pass a licensure exam before you will be able to practice your new profession. The NCLEX examination is the comprehensive test that you will need to pass. Since the requirements for this exam vary from one state to another you will want to be sure and check the requirements for the state in which you reside. Keep in mind, it is common for you to be required to complete continuing education hours in order to maintain your licensure. Patient – As an RN you have to work with a lot of different patients, each with their own health issues. Many don’t want to listen to instructions and might have their own opinions on what is best for them. You’ll need to have great patients when dealing with clients as well as with doctors. Empathetic – Nurses have to deal with issues and health problems all day long. They see so much that they need to show empathy regarding the situations the patients are in. Multi-Tasking – RN’s need to be able to multi-task as you’ll be dealing with lots of different patients and doctors. Hospitals are very fast paced and you’ll need a good routine to stick with as well as learn to prioritize your day. Quick Judgment – One thing that all registered nurses need is quick judgments. You’ll need to be quick on your feet and be able to make judgment calls regarding the patients care. 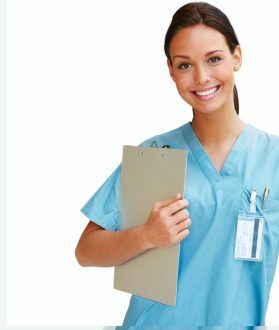 Independent Worker – Nurses are trained to work independently. You’ll have all of the knowledge to do your job with little to no supervision. Great Communication Skills – Dealing with patients and doctors requires clear communication. Gain the necessary skills during college that you can use throughout your entire healthcare career. Detail Oriented – One of the more unpleasant tasks as an RN is all of the paperwork and record keeping that goes along with the job. This information needs to be very accurate and detailed as doctors will be using the patient records. Stress Management – Check your stress level at the door. Everyone that you work on is already in a stressful situation so patients and family members will be looking for you to keep them calm. Leadership – Since you are an RN, other nurses will look up to you. Many registered nurses have management duties where you’ll have a leadership role. The affordable care act will not only give insurance to millions that didn’t have insurance, but it will increase the number of registered nurses needed at the hospitals and more hospitals will need to be built. Over 55% of all RN’s have a Bachelor’s Degree or higher. Over 2.5 million RN jobs are in the United States. Schools don’t have enough room to education the number of nursing jobs that the hospitals need. Be reform is going to be needed in order to education the number needed. One in every 5 nurses work part-time however less than 10% of RN’s work part-time. Demand for Registered Nurses will increase over the next 25 years as more and more people are living longer in nursing homes. The need for in-house RN’s will be high. Being bi-lingual, especially in Spanish, is a great trait to have as an RN. Most hospitals don’t care where you went to school to earn your RN license. What they do care about is what your test scores were and how committed you are with your career. Year after year Registered Nurses is considered one of the most trusted professions. Not a single state in the US is not in need of qualified RN’s. The average RN makes $66,640 per year with an industry average of 17% increase. Approx. 60% of all registered nurses work in hospitals, 7% in residential care an 7% in doctors’ offices. It is common for you to work 24 hour shifts. By far the highest average salary earned is $98000+ and it is in the government sector.